Northern Inhambane Coast is one of the most picturesque areas of Southern Mozambique. From Maxixe, to Morrumbene, to Massinga and then onto the amazing Pomene Reserve, this area is densely packed with tropical coconuts plantations and many of the Provinces most spectacular beaches. One of Mozambique's best-kept holiday destinations, Bonito Bay is a spectacular resort occupying perpetually sunny grounds that overlook one of the country's most beautiful beaches. There are few place on earth where you can enjoy such pristine tropical beaches all to yourself. Bonito Bay is an affordable option offering both self-catering and catered holiday groups on the doorstep of the Indian Ocean. From our beach you have endless aquatic opportunities including boat, or shore fishing, diving, snorkelling, and the popular whale and dolphin viewing. 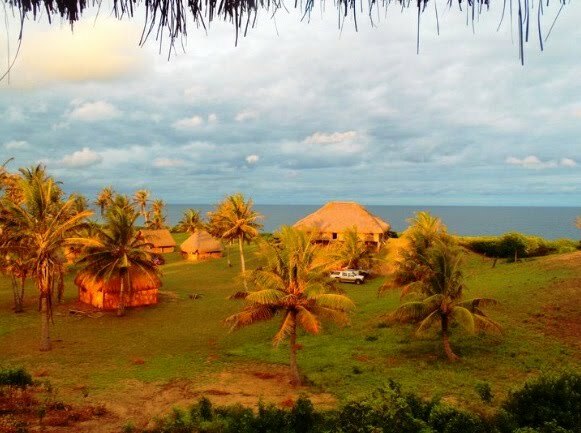 The resort is easily acessible by car (only 15 minutes from Mozambique's major highway the EN1), or flying in with Inhambane and Vilankulo airports which are both less than a 2 hour picturesque drive away. With Majestic views out of probably Mozambique's most beautiful estuary.